If you won't eat it, don't feed it to others. 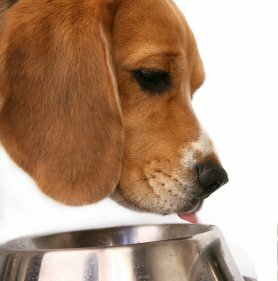 ‘Dogfooding’ or ‘eating your own dog food’ is a software-industry expression that refers to the importance of a company using the products it creates. Using this best practice, software developers are able to share users’ experiences and, it is hoped, are therefore able to build a better software tool. At Sproutee we’ve extended this principle to include using the same technology for our own company’s website as we use for our clients’ businesses. We use WordPress for websites and we create custom theme using the Catalyst Theme Framework. Naturally, we used WordPress and Catalyst for our own website. We were honoured to learn that our site was recently added to the Catalyst Showcase and we thought we’d share a Catalyst Theme Framework review. What is the Catalyst Theme Framework? Catalyst is a WordPress theme framework. Catalyst is targeted at both developers and non-developers and provides a ‘bootstrap’ for creating custom WordPress themes for your website. In addition to providing an interface through the WordPress Dashboard for customising your theme, alongside support for using custom CSS file(s), Catalyst injects enhanced SEO (search engine optimisation) features into your WordPress website, allowing fine tuning of your meta data. Catalyst is the second generation of theme framework from its developers, Cobalt Apps, and demonstrates a significant growth and evolution from its ancestor, the Frugal Theme. ‘Out of the box’ the Catalyst Theme Framework keeps it minimal and simple. This blank canvas allows you to rapidly put into place the layout structure of a new site. You can easily define the sizing and placement of header, main content area, sidebar(s) and footer when you start a new project. This avoids the need for tedious copy-and-paste development before getting to the heart of a project. The Catalyst hook map says it all. The comprehensive inclusion of every hook position you could need testifies to the attention to detail you can expect from the Cobalt Apps. By providing a solid collection of hooks, it is possible to create your desired modifications without hacking the core Catalyst files. This facilitation of best practice helps your site’s customisations withstand updates to the software as you haven’t touched the core files, just added your flair on top! The Cobalt Apps team and community provide excellent support through the forum. Harnessing the collective intelligence of community is a recognised means of supporting software and the Catalyst forum, like forums for WordPress or PrestaShop or Facebook or many other software products, represents a strong collection of questions and answers. If you’ve got an issue, it is more than likely someone else has had the same trouble. If you can’t find an answer to your question, post a new thread and you’ll be sure of a quick response from the community and Cobalt Apps team itself (who tirelessly monitor the forum!). The Catalyst Theme carries on Frugal’s earlier support for search optimised content creation. This is one of the features that first attracted us to Frugal and then to Catalyst. We love the ability to tweak our meta data. Taken together these features result in a powerful and adaptable theme framework upon which to build. A theme framework that helps you to avoid a majority of cross-browser bugs as well as the tedium of copying and pasting your start-up code every time you need to structure a new site’s layout. And we’re not just saying that; we believe WordPress and Catalyst can be right for you, right for our clients and is right for us. Yum, yum – tasty Catalyst! Want to learn more? Look out for our next post on Catalyst Theme custom layouts or subscribe to our feed.